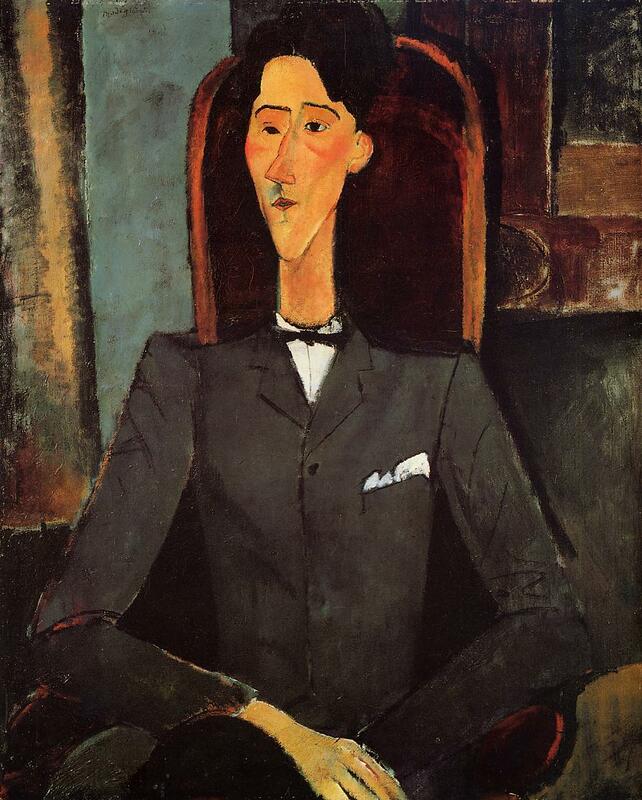 Jean Cocteau is a french writer and film-maker. . 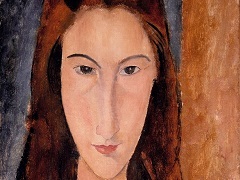 This painting clearly illustrates a consistent feature in Modigliani's production, namely the depiction of two different angles within the same portrait, showing how the frontal pose of the sitter's body melds with the lateral view of the same model's facial features. 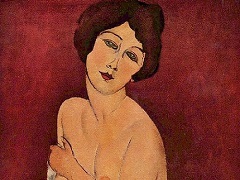 This intellectualized notion of anatomy is prevalent in primitive art and was given its ultimate expression by the Cubists. 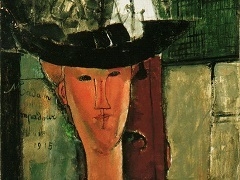 Copyright © 2010-Present www.Modigliani.org. All Rights Reserved.